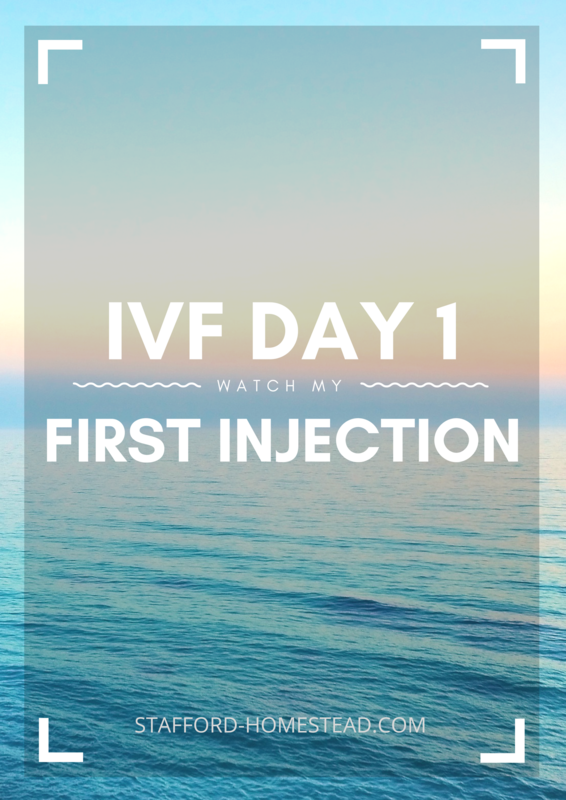 The long-awaited day of my Baseline IVF appointment finally arrived today. I left for the clinic at 7 am, it was a 40 minute drive. I arrived and checked in. I had to pay the $1,000 for cryopreservation today (ouch). I waited for a while, once called back they did my height and weight. Then came the ultrasound, I had a different doctor today, a young(ish) man. I felt a little uncomfortable having him as a doctor but I quickly got over it. The ultrasound looked great he said I had “nice healthy ovaries” which gave me a good feeling. They found 22 immature follicles on the left and 16 immature follicles on the right, I think this number is more of an estimate because it’s not like he was there counting. After that I did some blood work, then got to meet with a nurse to answer any questions I had. I didn’t really have any so she told me what dose to do and to have more blood work drawn on Monday morning. So I drove home. I got an hours worth of yoga in. I did a twisting flow as I know I won’t be able to do those soon once my ovaries become enlarged. Hubby and I took the dogs on a walk at a trail down the street. I made some Greek chicken with cauliflower rice tabouleh (from Green Chef). Then IT WAS TIME FOR THE SHOT!! Tonight would be my first injection of many to come over the next month or so. I took a video if anyone wants to see. I’m in my pajamas and not wearing any make up… IVF is not glamorous in my opinion so why fake it lol. It was pretty straight forward. It’s only been an hour or so but no side effect noted yet! Next My First Week Of IVF Cycle #1.